The road to become a Pokémon master is truly a tough one. Searching for all the monsters needs a lot of time and effort (walking) and in order to find the best monsters to complete your team, then you have to get out of your house! 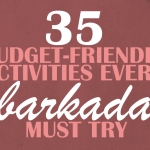 You actually don’t need to go to the highest mountain or dive the deepest sea to catch them all! 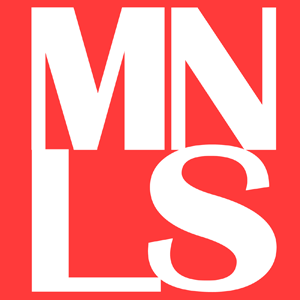 What you need to do is Play Pokemon Go and “pokewalk” around the Metro. 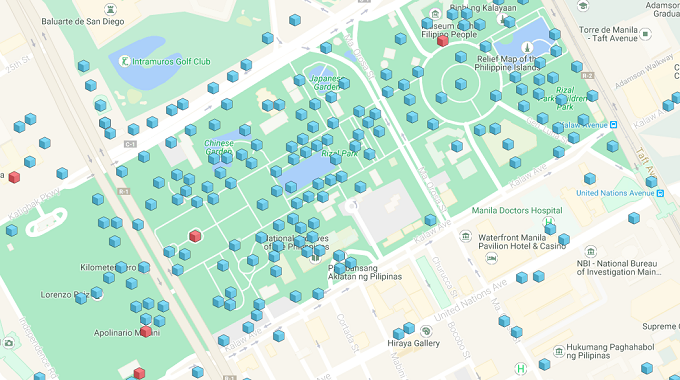 So where is the best places to catch Pokémon in Manila? 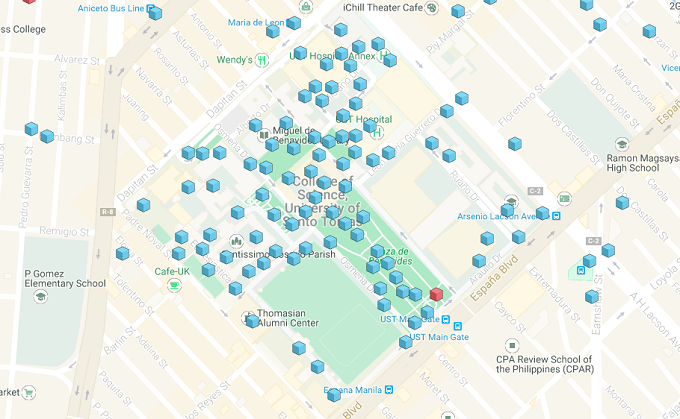 As you probably have known, pokestops are based on important landmarks and here is where most Pokémon are found. 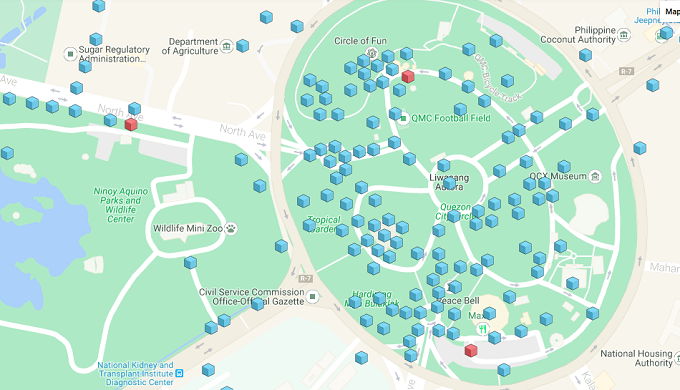 In the country, one of the most popular landmarks is Luneta Park where there are tons of Pokémon you are sure to catch. The main park has grass, bug, and flying monsters but if you lurk around the fountain and the Manila bay area, water Pokémon can also appear. Pro tip: head to Nayong Pilipino (formerly Orchidarium) and find 4 pokestops. That’s 200 XP every 5 minutes! 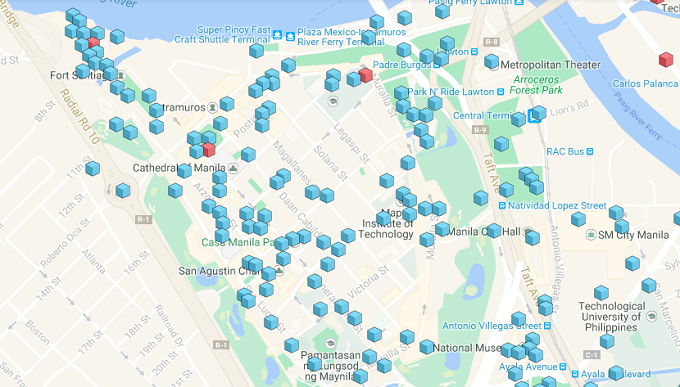 Makati is one of the best places to catch Pokémon, aside from having tons of pokestops – from art pieces, landmarks, to parks, every one of them are also planted with lure modules. You don’t even have to buy one! Just stay in Makati (preferably Ayala Triangle) and wait for people to use a lure. The best time to pokewalk around Makati is weekdays when there are so many people in the area who share their lure. 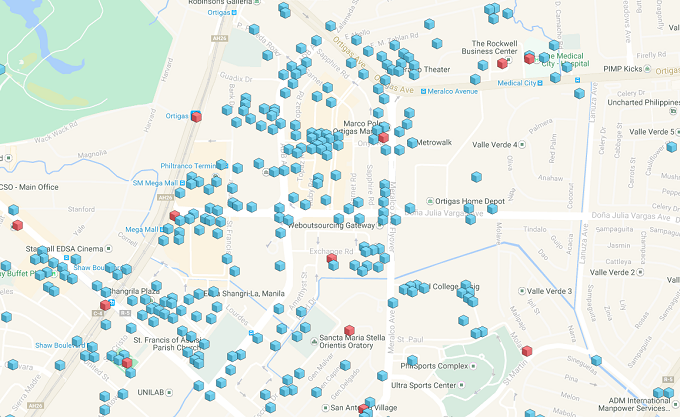 Pokestops are also abundant in Greenbelt. Even before Pokémon Go, BGC has always been popular for its street arts. And these pieces have been used by Niantic as pokestops. Be amazed with how many stops you’ll find here and you’ll end the day getting enough XP to level up. Much like Makati, weekdays are the best time to visit because almost all stops have lure modules. It is known the Pokémon thrive in area where many people stay and a business area like Ortigas is a good place to catch Pokémon in Manila. You can roam around ABD Avenue leading to SM Megamall and Shangri-La Plaza to find stops situated near each other. 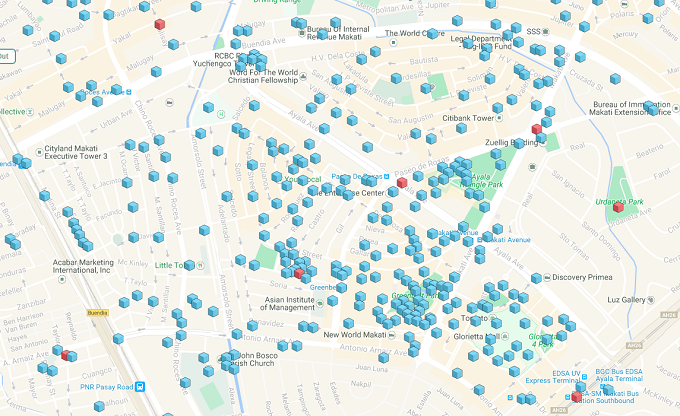 There are plenty of landmarks and old buildings around this historical walled city and these are pokestops assigned by Niantic. You can start your pokewalk from Luneta (another monster-rich area) going to Fort Santiago via General Luna St. This is just like a walking tour only you have your phones ready for Pokémon. 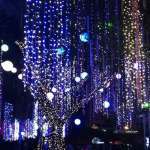 If you enjoy early morning jog around the Quezon City Circle, then don’t forget to bring your phone! The area is filled with monsters for you to catch. 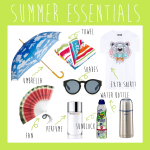 Stops may not be as plenty as those in the Makati and BGC but enough to fill your item bag. 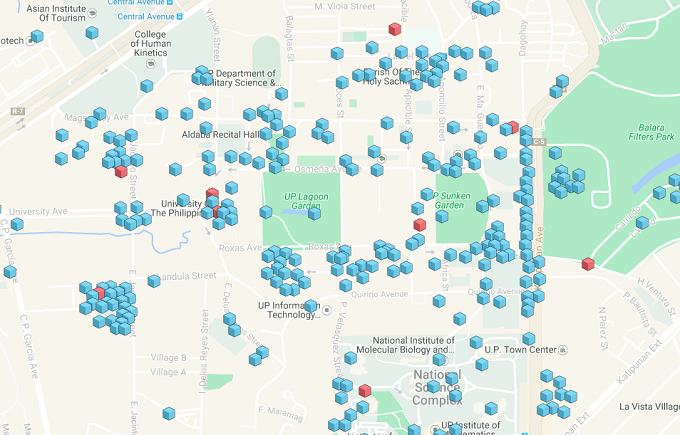 Clusters of pokestops are the best places to farm items and Pokémon and you can find them in UP area. Don’t forget to bring your bike to hoard items or win over gyms like the UP oblation and the dying gaul sculpture. This place is perfect for water Pokémon lovers. 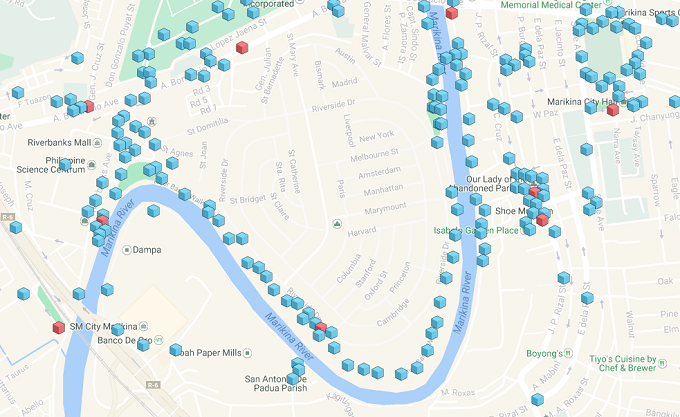 It may not have plenty of pokestops but the River Banks Walkway has enough along the way. You can ride a bike and spin every stops then go back since poke stops refresh every 5 minutes. 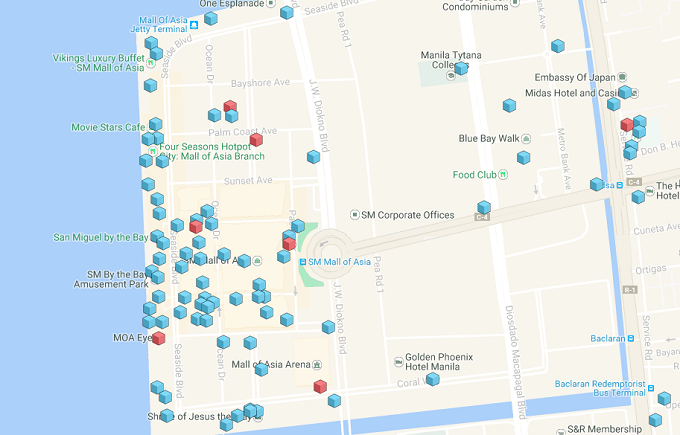 If you enjoy Pokemon Go but hates walking, stay in the seaside area of Mall of Asia. Not as packed with pokestops but since you are near the ocean, Vaporean and Lapras should be there somewhere. 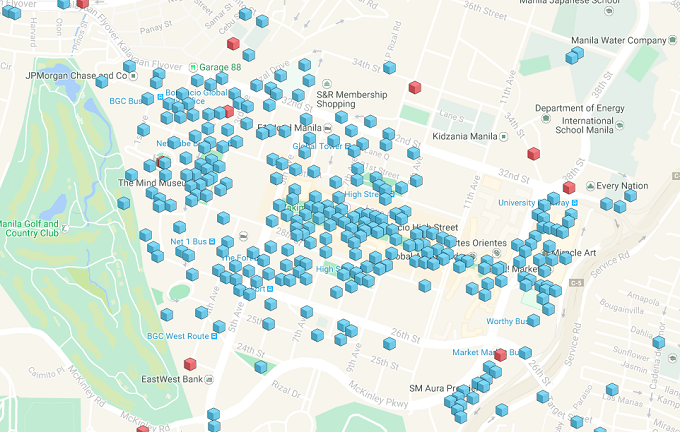 Students of the oldest school in Manila, UST, are beaming with excitement because of the number of pokestops in their area. 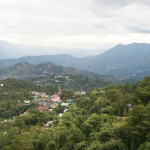 While, not all people can freely roam around the vicinity, you can still access a few stops even outside the school. With some luck you will find the most elusive and rarest Pokemon there is. Just don’t forget to enjoy catching with your friends and stay away from Team Rocket! What’s the rarest and strongest Pokemon you have caught? 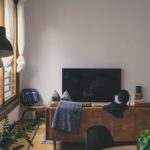 Can you share where you found them?